The Kansas Jayhawks football team last won consecutive games in.... what year? Can you guess? Unless you really, really, follow these things you have blocked it out of your memory because it was so long ago and KU football has been bad for so long. Don't look it up because I'll tell you: it was the first two games of the 2011 season. In other words, the final season the Big 12 actually had 12 teams. Is it coincidental that David Beaty was on the staff as co-offensive coordinator that year? Probably. KU beat McNeese State (FCS) and then Northern Illinois. And since then, nothing that can even be interpreted as a winning streak. In 2013 they opened by winning two of their first three. Same with 2014. But not two in a row. Now they have a chance, if they beat Central Michigan this week at Memorial Stadium. I couldn't figure out how Central Michigan did in their first game last week, and there's a reason for that, because they didn't play. This, as I mentioned last week, was a big problem for the Kansas Jayhawks for a few years, especially during the Charlie Weis era, and I'm sure that's purely coincidental. There are an even number of FBS football teams, but several of them play FCS or lower teams in week one just to guarantee themselves a win. Somebody's going to be left out. Central Michigan got left out. So we know nothing about them. Which is fine, because we really know nothing about Kansas after week one. They rolled Southeast Missouri. They were supposed to. In truth, we will still know nothing about KU football after this week, either, unless of course they lose to Central Michigan, in which case we will know they are still really, really bad. I also said last week that KU needed to put up big plays against SEMO early and often. The 77-yard TD pass from Bender to Steven Sims Jr. on the first possession qualified. That's a start. Which is all last week was. A start. Can KU win two games in a row for the first time since the Turner Gill era? 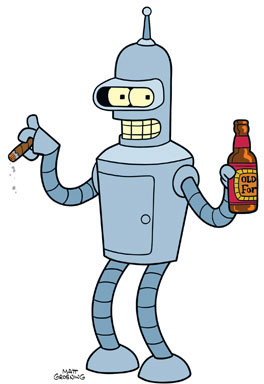 Grab a beer and find out, just like Bender would.